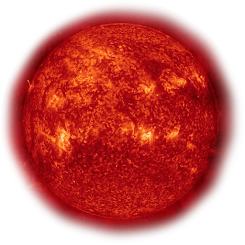 This image shows smaller, particularly interesting areas of ESO Press Photo eso0104a. 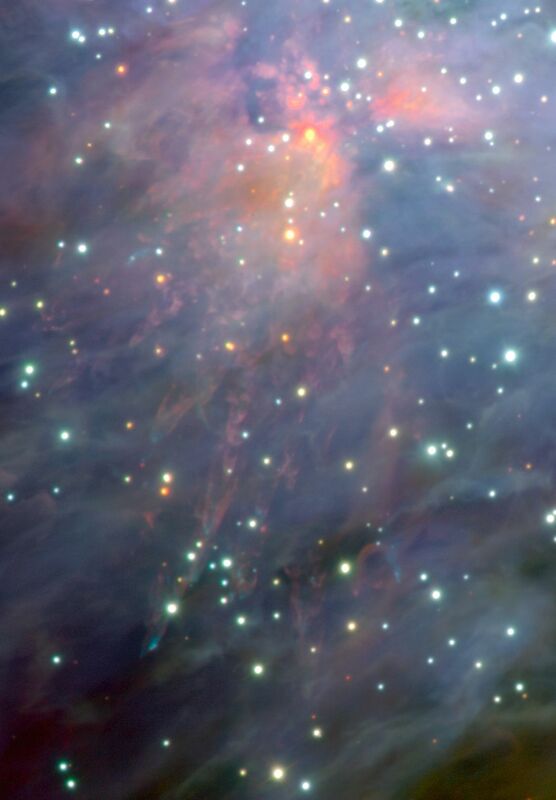 The traces of a massive outflow of gas from a very young object embedded in the dense molecular cloud behind the Orion Nebula. Shards of gas from the explosion create shocks and leave bow-waves as they move at speeds of up to 200 km/sec from the source.